Hi. How is it going everyone? 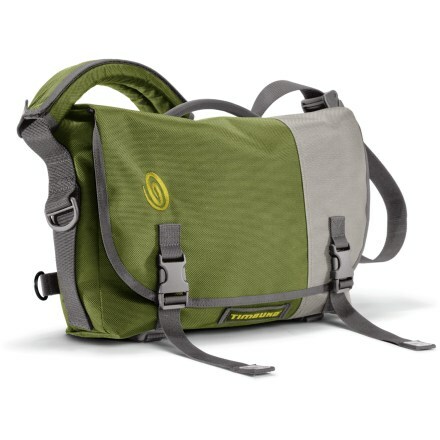 What you are looking at here is the ubiquitous chrome bag. 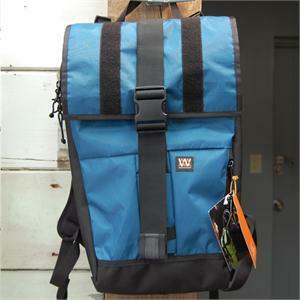 You probably saw this all over college campuses and I bet that your local bike messenger has this bag as well. 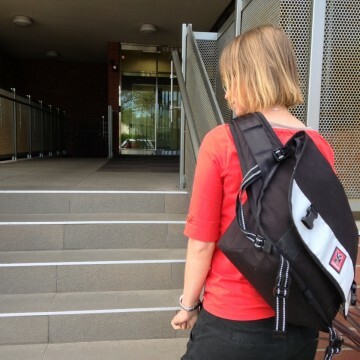 You might be wondering whether this is the right bag for you, so basically what I am going to do, is I am going to read off a couple of statistics and some stuff from company site and maybe that will give you better idea of whether this courier bag will meet your needs. Thank you so much to youngs backpacking for this review, if you guys have any questions or if you want more information feel free to email, they will be more than happy to help you. So just sit back and relax and I am going to start by reading some history of the company website. 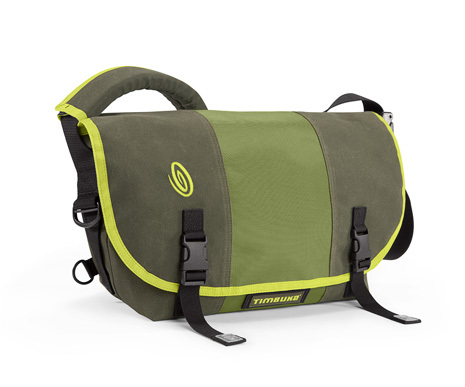 Chrome started in boulder Colorado, 14 years ago, when couple of guys need bags and couldn’t find anything that met their standards, so they got the toughest they can find, headed into garage and started selling. Functional seat belts from used car lots were repurposed into bag straps and though vinyl fabrics were salvaged from old furniture was sawn into bag liners. Before long people were knocking on their door. What started out from necessity become business with an ethic. Built functional product that people can rely on and do it well. 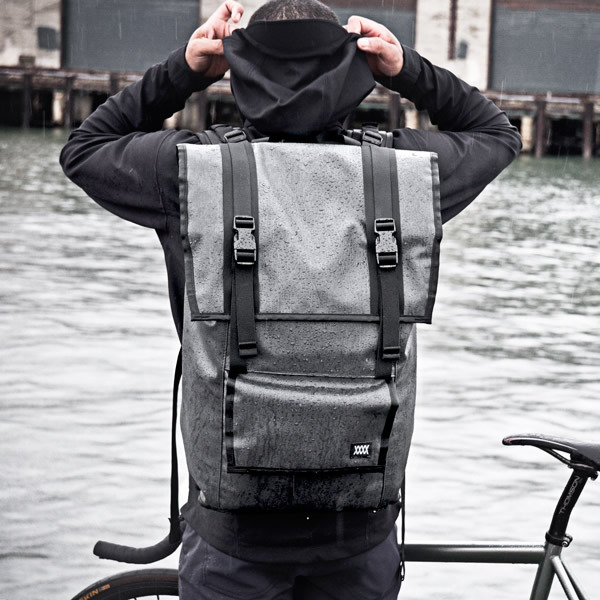 So basically now chrome is based in San Francisco and another thing that you should know is that a lot of their bags are made from recycled material so if you are gonna go green you can sit safe with a guilty free consciousness knowing that your bag is made from recycled materials. There are 3 sizes for chrome bag, this is the medium size which is the citizen, the small one is the mini metro and the large size is the metropolis, but the citizen is the most common and most popular size that you will find around. In terms of looking at the outside of the bag, the exterior is made out of 1000 denier cordura which is a really durable material. And it is weatherproof as well. All my friends that have this bag have put her through hell, they dragged it across rough concrete and it scuffs a s bit but it doesn’t wear on the material so this section right here is really durable. If water gets on it it is gonna bead but eventually if you let it stay wet long enough it will soak through the cordura area as well. As you can see here the flap is attached by 2 main straps and the straps themselves have these reflective strips to reflect light if you use it as bike bag. Down here you have a little loop in case you want to attach a small little light in order to enhance visibility. And carrying on the back side right here looking at the strap,you will see that it is adjustable and you have the famous chrome attachment here which uses the same attachment as airplane seat belt. Snap is steady, doesn’t get in away and it is easy to detach, it is easy to get on and off and cool thing right here along this path are, the strap, there is a velcro strap so I pull this flap then pull this strap as well – what you can do here is, you can attach a cell phone pouches or just small item pouches right here and use the velcro to sinch it in. 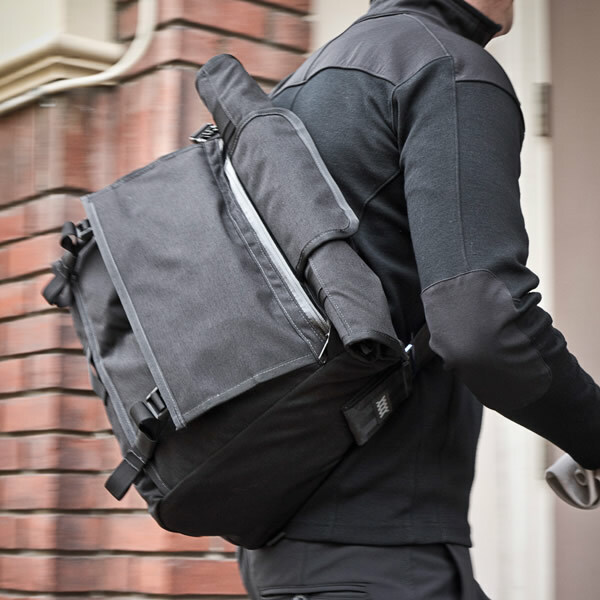 Crome sells their own pouches as swell, but you can aslo get 3rd party companies an d attach it to the strap – so it is a nice touch if you want to add a little more storage space or just to keep your items separated. Opening to the main component of the bag itself, still attached by these velcro hits right here. Starting off you will all notice that there are these small pockets for pens, pencils, etc. and then there is zipper right here, very nice. To give and idea I can just about to fit my hand in here so you can put something like a small notebook, a little bit too small to put a full size book in there but a notepad or some small items will fit just right in here. Then just behind that you have a pocket section, actually 3 and these are separated in the middle so we have middle pocket and 2 side pockets alongside. Now one hint that I will give, I wish there were zippers here, just to make it a little bit more secure, it is deep enough that I am not really afraid that items are gonna spill out but it would be nice to have that zipper just to be more secure along this area. That is just one little thing that I would like to see, but if you are handy with a needle and thread you will probably sew on your own zippers on side pockets. Then you have the main component and this main component is composed of a vinly material it is a 18 oz. weatherproof truck tarp liner sealed with military spec. seam binding and the threaditself is nylon 69 thread so it’s really heavy duty. It is waterproof and if you put any items in here water won’t get in or out, so I’ve had friends who were coming back from the gym or hitting the pool, they will throw like a wet wet suit in here and, this is waterproof so it won’t soak the rest of the bag. Conversely I have friends who uses as a bike bag and what they do they stick their laptops in here and once they seal it they will ride in rain and don’t have to worry about any moisture getting in and soaking their laptops so you can rest safe in the fact that no water will get in our out of this area and that is almost priceless, especially if you are doing something like being messenger and you don’t want anything to affect the content of your bag so I can see why this is popular with messengers. The cool thing about this is if I use this velcro strap area – this bag – this waterproof section area comes out a little bit so as I do that I can unfold this area and I can access this sections right here so you can use as separator, you can put regular items right here and then item that you don’t want get in here, you can put items right here, or you can put items right here and use it as some sort of hidden pocket and then when you put the main pocket back, you are not gonna worry about it. It is pretty good for gear separation, it is a nice option. I have friends and mostly what they do is they stick their wet clothes in there and then regular clothes that they want to keep dry on the bottom section. I have some other friends who just use it as a security pocket, they’ll put extra cash in this bottom section because no one will know about it and then there other valuables in the main component. It is pretty simple design, looking crazy but it is supper dutiable, super handy and very convenient to use, it is very well thought out design. Just the fact that half of my friends have this bag is a testament to it. As I said there are 3 sizes. What you are looking here is the citizen bag and that is the most popular size, MSRP for this is $140, you can probably get it for less. And that is it. If you have any questions feel free to message us. That is my review. Thanks for watching us. Have a great day. 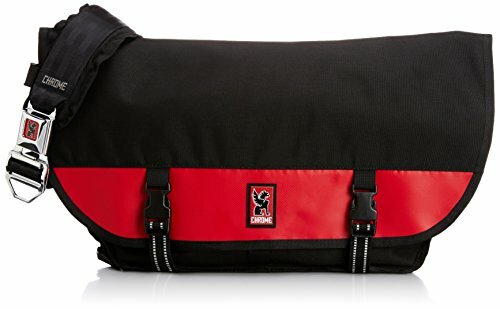 Buy the chrome citizen bag or take a look at other chrome messenger bags we found for you.